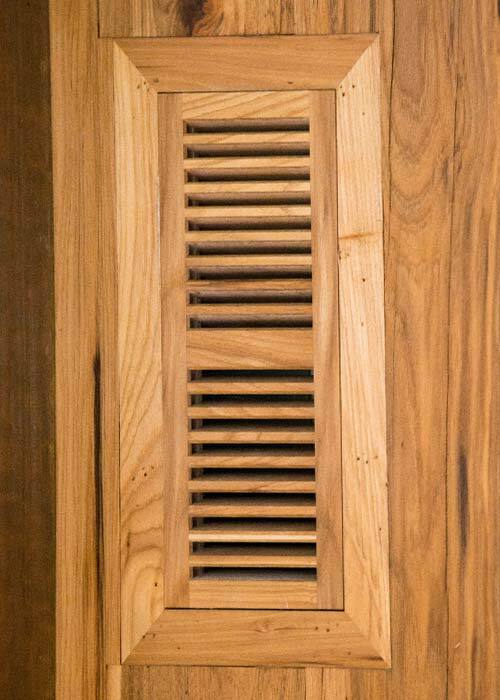 Wood Vents: A beautiful, matching wooden vent adds that seamless look to your project. Ward Hardwood Flooring offers a variety of standard or custom sized wood vents that add a distinctive look to your home or business. Our vents are made with only the highest quality craftsmanship, finest materials and are available in most species and styles. When ordering, please use the rough opening as the dimensions you choose. Edge detail: 3/4", Available in most species. Edge detail: 3/4", Available in most species. 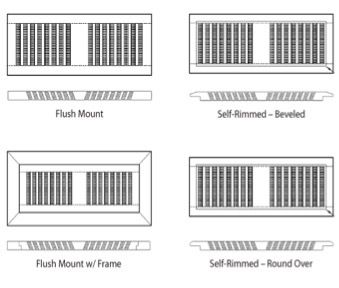 Self-Rimmed vents extend approximately 1-3/4" past the rough opening size.